Alana White didn't always have the perfect life, when she was just 11 years old she got home from school and found both her parents brutally murdered. She was forced to move in with her aunt, but moved out 2 years ago. Now at the age of 17 she lives with her boyfriend Drew and is making her way though high school. Drew is 19, he graduated two years ago. She's happy with him and couldn't imagine life without him, but what happens when she is forced to go to a new school and her new friends older brother claims that she's "his" and why is everyone calling him Alpha? Mated With My Own Worst Enemy? Cole Hunt, is the son of the alpha of his pack. As the oldest son, he’s next in line for being alpha, but that’s not something he wants. He’s a total jackass as well as a player and is always pulling idiotic stunts to see if his father won’t change his mind about him becoming alpha in the future. After being sent away to military school for a year, he’s finally back home to face everyone that he had left behind. He’s not looking for a mate, but he may just find one on his return home. Both Jade and Cole hate each other more than anything. They are members of two opposing packs, and besides, Cole had done some pretty terrible things to Jade in the past. But when Cole comes home after his year away and the two run in to each other, they shockingly discover that they are mates. Will the two be able to fight the attraction that they feel towards each other or is it just a matter of time before they have to face the truth? And are the two the fated heroes of a prophecy who’s romance brings two rivaling packs together? Read to find out! Lucille, or Lucifer as her pack mates nicknamed her, has got no time for love. Lucille is a irresponsible childish 18 year old. After desperately trying to avoid the Mating ceremony she ends up meeting her mate after all: The Alpha of the pack that runs the wolf Government. Then she rejects and insults him. Her furious father sends her away with him to be his mate. Angry, Lucille does everything she possibly can to avoid becoming his mate. However the Luna Goddess is never wrong. So will she succeed in avoiding her mate or will the strength of the Luna Goddess's bond overcome her? Lucille has just received ultimate life changing news. Unsure of what to do she sets off with Liam and Jessica to find the answers that she needs. However while she's busy discovering her new life, the people in her old life really want her back. And they're prepared to do anything to get her. Lucille has many choices to make, each choice will shape her future and change her life as she knows it. Let the tears, lies, confessions and drama ensue. Turning sixteen is a big deal for a werewolf. It's when you can shift into your wolf for the first time, when you find out if you have an ability, when you can meet your mate. For Ceci, the first two items are exciting...the third, not so much. Turning sixteen sets in motion a slew of events that will forever change Ceci's life. Whisper Rayne is not a happy camper and neither is her wolf. She has to move to California with her family because they want her to have new opportunities. So, what happens when she finds her mate and he turns out to be the Alpha? She tries her best to avoid the undeniable attraction but is slowly giving in. Everything might be out of control, but they're going to get crazier when a person from her past shows up. Ella. Simple life right? Wrong. She was attacked by a werewolf when she was younger and has been forbidden to enter the forest again. But what she discovers when she enters the forest will change her life forever. Her brother and father are hunters, but they hunt the very things that are her future. What will Ella discover about her family and how is she going to deal with it? Will she fight alongside the man she is destined for? Or will she fight alongside her family? Willow Rayne Lawson is the daughter of the famous Derek and Whisper Lawson. She has a lot of expectations to live up to, like finding the perfect mate. So what happens when the neighboring school a few miles away from her shuts down due to a renovation project and she meets her mate? He's cocky, arrogant, and only seems to have his mind focused on one thing - her. My name is Perrie Adams and currently I am having an internal battle between my mind and my heart. Like every normal human I thought werewolves were a myth but little did I know two weeks after my eighteenth birthday I would shift into a werewolf. Now my mind is telling me go back to what I know to where I am safe in the human world, independent and on my own so no one can have a chance to hurt or leave me. But my heart calls out for love, to be dependant on someone, to have a family, to be with my mate Alpha Derek of the Red Moon Pack. Sequel to First Love vs. Mate. If you haven't read First Love vs. Mate I recommend you read it before this story so you don't in counter any spoilers. Aria Knight is a week away from becoming the new Alpha of the Noctis Insulam pack. A pack that has faced many hardships due to its neighboring pack the Bridgestone pack and it's old alpha Lionel. After Lionel is killed by another more powerful pack the wolves of Noctis rejoice  but even under a new leadership Aria and her pack want nothing to do with the Bridgestone pack. Will she feel the same once she finds out the new alpha of Bridgestone is her mate. Alpha Dylan Black. Isla is your normal 18 year old werewolf, loves her family, is dutiful to her pack ,the Red Moon pack, and obeys and respects her Alpha. The only thing of about her is that she fell in love with someone who was not her mate. 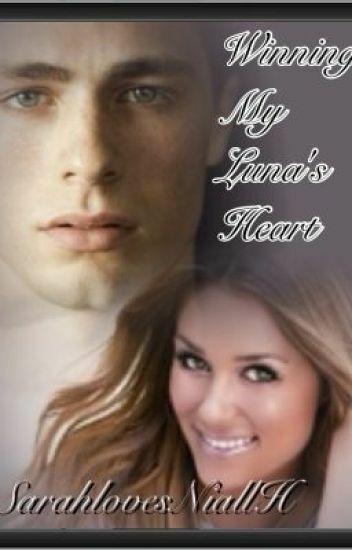 Mason and Isla knew each other as kids but as they grew up it turned into love. Keeping it a secret as it is frowned upon for werewolves to keep a relationship without a mate bond even from their best friend and soon to be Alpha, Derek. When they do decide to make their relationship public during a pack ceremony Isla meets her mate, Alpha Asher of The Midnight Moon pack. What will Isla do choose her first love or her mate? Kaitlin Bell is the daughter of alpha Marcus Bell. Kaitlin had many friends, but they were never allowed to get too close to her. Many werewolves called her father ruthless, but she knew he was just doing his job. When Kaitlin turns twenty she finds her mate Damien; he wasn't a high ranked werewolf like everyone expected, but she wanted him regardless. When her father finds out who her mate is he immediately banishes him from the pack, and forces Kaitlin to marry one of the stronger pack warriors. Damien Clive only has one thing on his mind, and that's a way to get his mate back. He knows she wants him, and he is willing to do anything and everything to get back in her life. Damien trains himself, he makes friends with strong werewolves who take their time making sure he can return to his mate with his head held high. The question is, will Damien get her back?